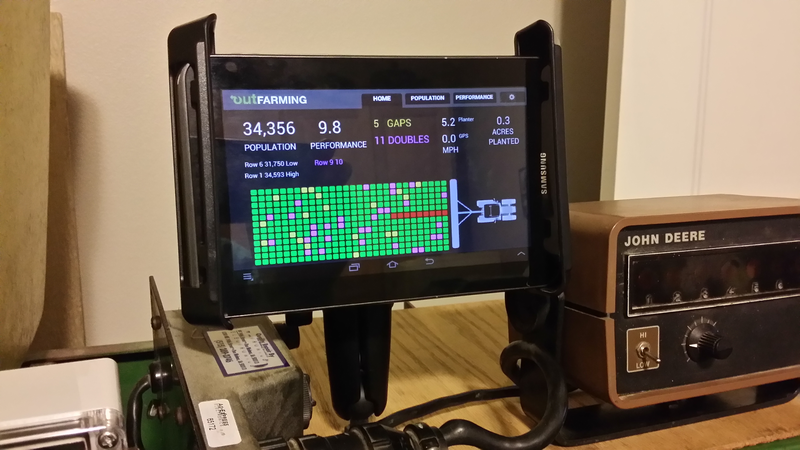 In 2016 & 2017 I beta tested the planter performance monitor you see here. It runs on an Android device - I prefer a 7" tablet but it will also run on my 10" tablet and my cell phone. Here on the Home screen, Population is in seeds per acre. A performance of 10 is perfect. No gaps or doubles. 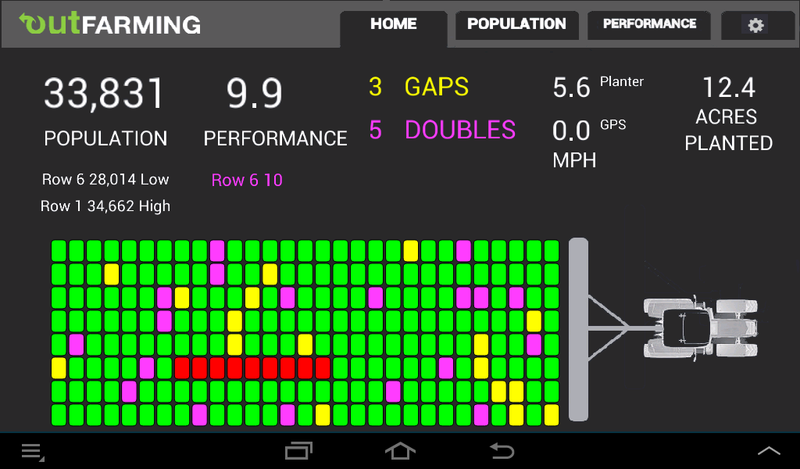 Planter speed in MPH is calculated based on how fast the seeds are coming out. MPH based on GPS will display if you go to settings on the Android device and turn on Location Services and Use GPS satellites. The graphics behind the tractor show what has happened for the previous 15 seconds. Each box is about 1/2 second that corresponds to about 6 seeds being dropped. A green box indicates no gaps or doubles. A yellow box indicates a gap occured. A purple box indicates a double where the seed meter dropped 2 seeds rather than 1. A red box indicates an out of seed condition or blocked seed tube. You may view more information by going to the User Manual, click here. Here's my tablet on my test stand. Notice the RAM mount (TM) holding the tablet. 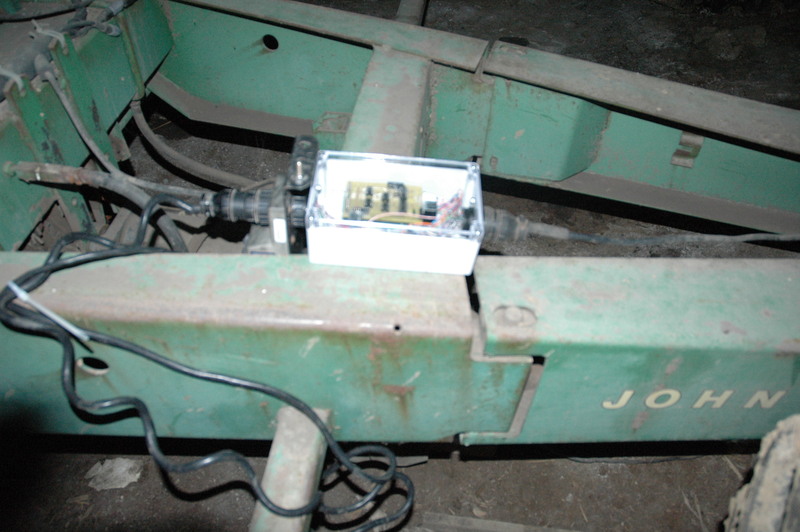 The 2015 beta version requires this control box hook to be hooked to the existing planter harness between the planter and the old planter monitor. No changes to the old monitor are required. 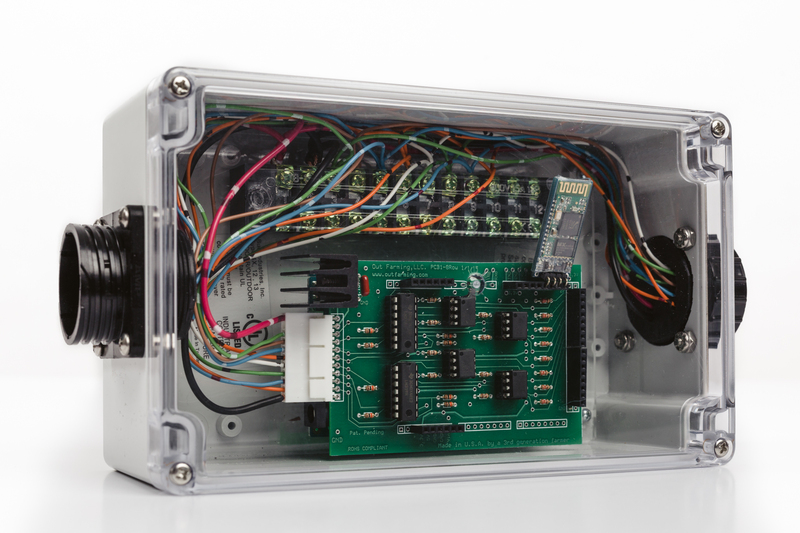 The green circuit board taps into the signals from the each planter row sensor and talks to the Android device via a bluetooth connection. 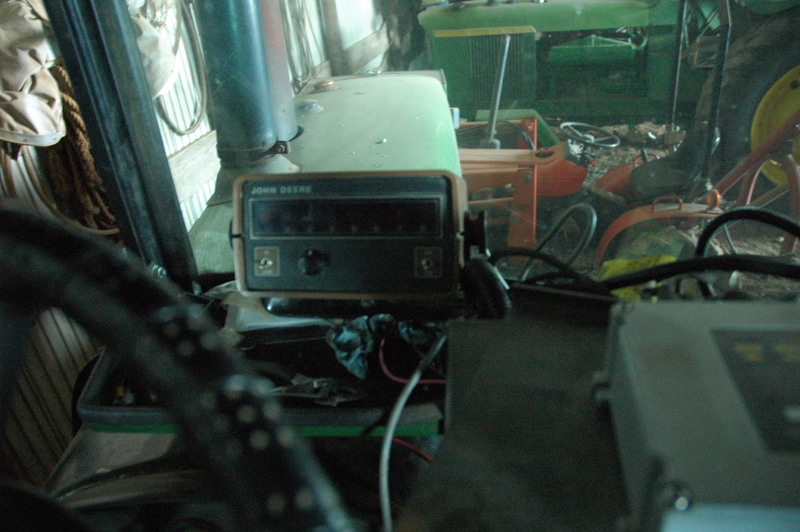 The control box hooks into the existing planter harness where it joints the cable from the old monitor. It may be along the planter frame or inside the tractor cab. 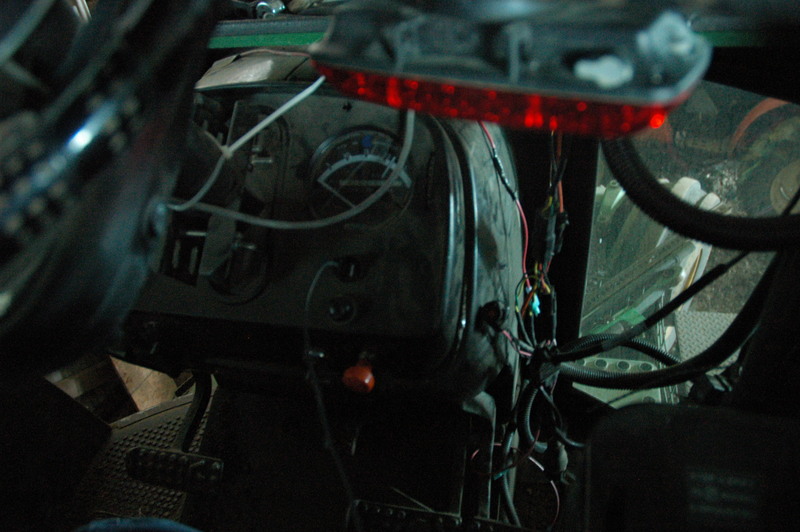 Duct tape around the harness or wire ties hold it in place. 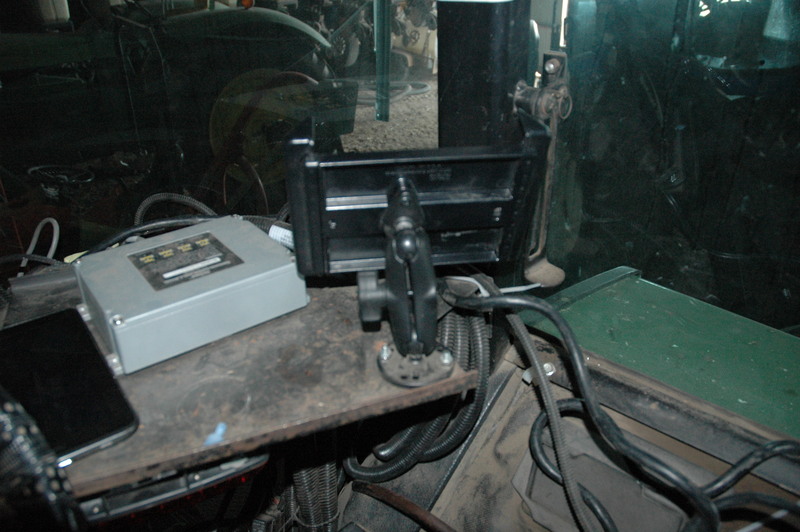 My setup in the tractor: The old monitor is sitting straight in front of me where it has always been connected. The Android tablet sits to the right a bit. Sorry the picture isn't clear. I shot this in February inside the machine shed. 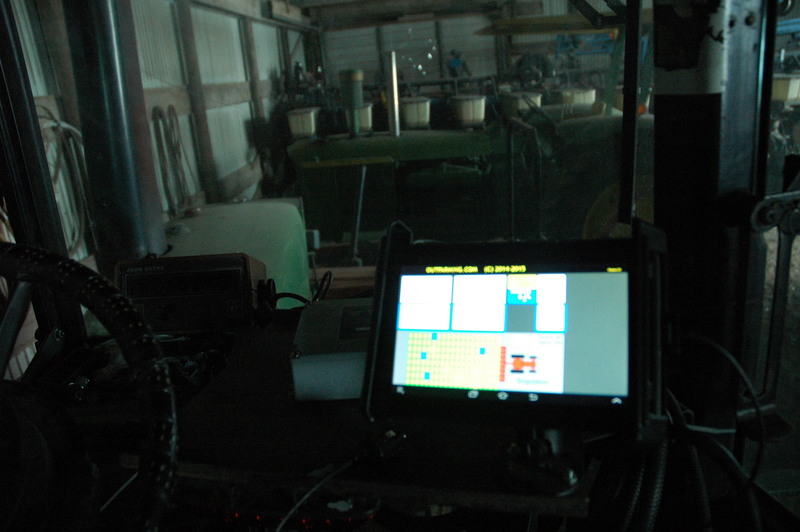 Looking closely, you can see that I have a USB charger adapter in the tractor cigarette lighter with the normal Android charging cord running up to the tablet. The tablet will only run about 3 hours without charging.